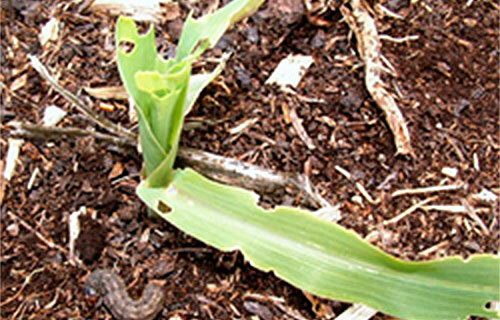 Scouting for black cutworm can be difficult because the larvae often hide during the day in soil or under residue. 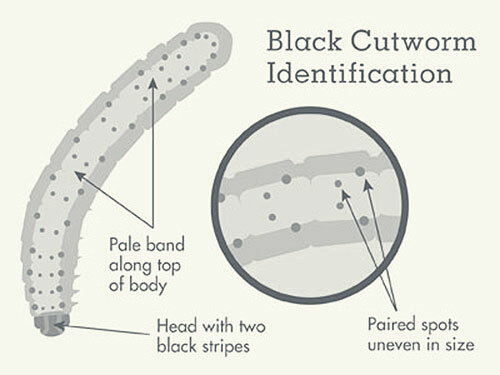 Begin scouting in fields in which the probability of black cutworm damage is greatest: low lying fields; fields located near vegetation such as streams, grass strips, woods; weedy fields; fields with heavy residue or infestation of winter annual weeds (e.g. 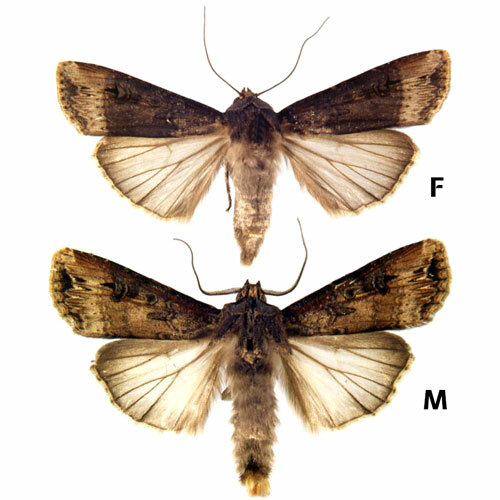 henbit); late planted corn fields; fields with a history of black cutworm damage. 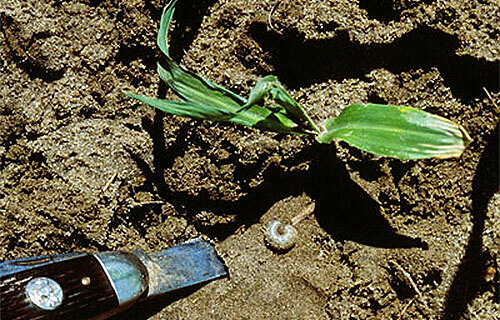 Examine 25 consecutive corn plants within a row in at least 10 widely distributed areas in a field and record type of damage (leaf feeding, cut above ground, cut below ground. 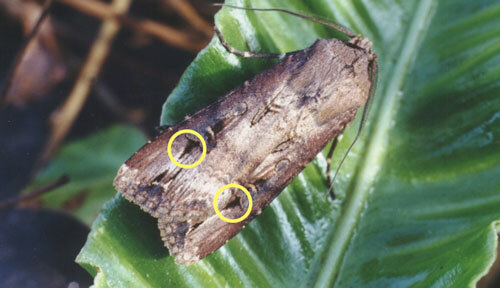 Calculate the percentage of plants damaged. For example, 12 plants cut above ground among the 250 plants observed (25 plants x 10 areas) means that 4.8% of the stand was damaged by above ground cutting. 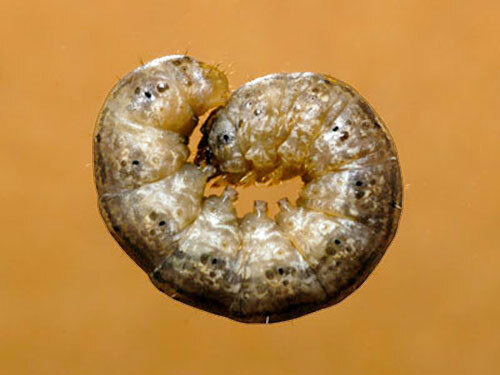 Missouri thresholds for performing a rescue treatment are 4% if cutting occurs below ground and 6% if damage is above ground including leaf feeding. 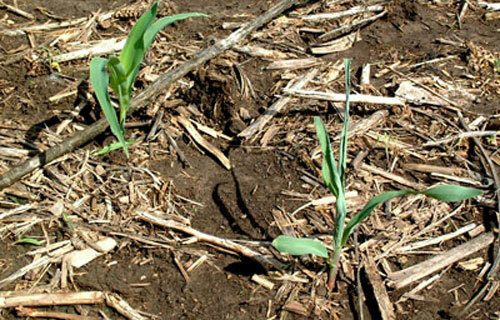 Thresholds should be decreased to 2 and 4% if corn stands are sparse (less than 22,000 plants/acre). 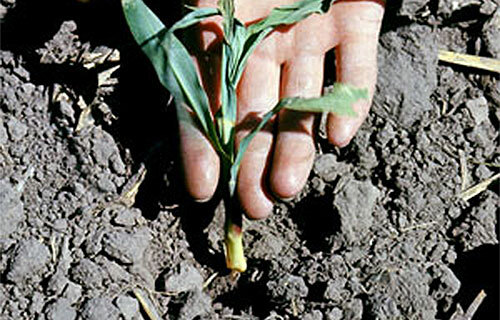 Scout from corn emergence until the V5 (5 leaf collars showing) stage of development.